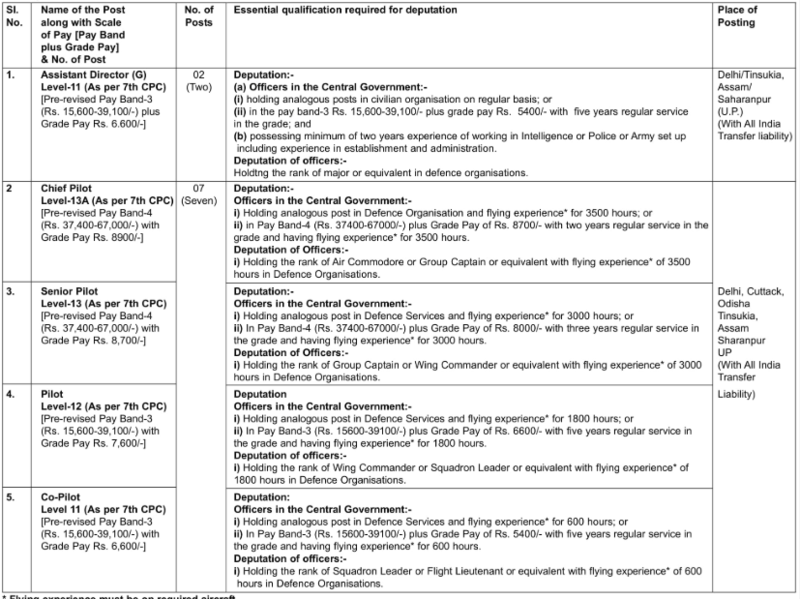 Government of India invites applications for the posts of Assistant Director, Pilot of 09 vacancies on its official website cabsec.gov.in. The details of Cabinet Secretariat Notification 2018 are available at careers99.com also. Interested and eligible candidates can Apply Offline before last date of the Notification i.e., 45 Days. Education qualifications, age limit, selection process and other details are as follows.. Interested Job Aspirants who are ready to apply for Government of India 2018 Notification must possess the below-given Eligibility Details. Selected candidates will get Rs.15600- Rs.39100/- with grade pay Rs.6600/- by the Recruiting Organization. Eligible and Interested Aspirants are requested to Download Application Form from Below link of cabsec.gov.in Website and Submit it to the mentioned Address before Last Date i.e., 45 Days.